Finally! I have made a new giant pillow to replace the crusty old bed pillows I use for lounging around on the couch. 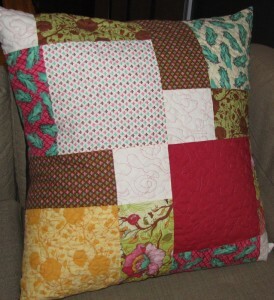 I’m completely in love with this cushion, and next I’m making one for Adam in manlier colors. 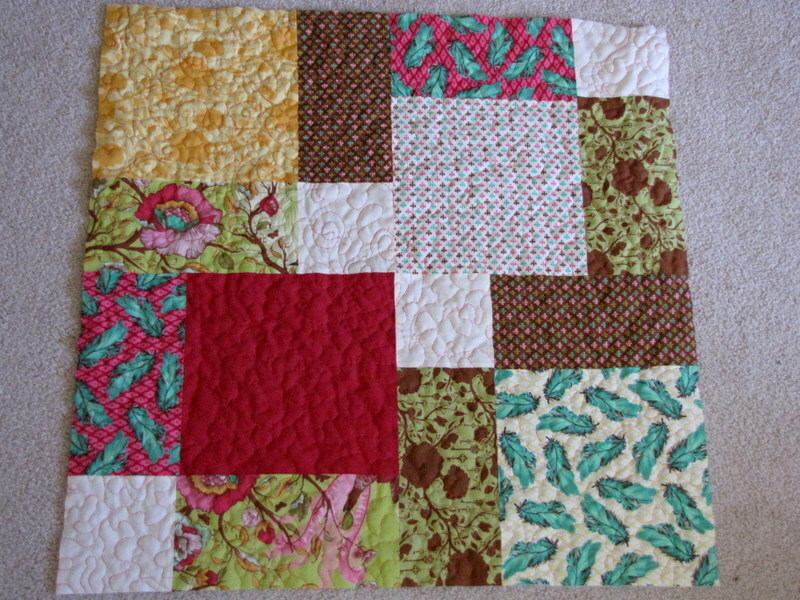 This pattern is one of the pillows that Julie (of Jaybird Quilts and prez of the Philly Mod Quilt Guild) designed with Quilt Dad for a Moda Bake Shop tutorial. They used Authentic by Sweetwater for Moda. I used some of my Tula Pink “Plume” layer cake. I loved the colors of this line from Tula Pink, but I didn’t know what I would do with it. I tend to be more of a polka dots-and-sharp-graphics kind of girl, but I’m so in love with the slightly Parisian/Moulin Rouge neon burlesque vibe that this has, especially with the feather prints. I love it in my living room. 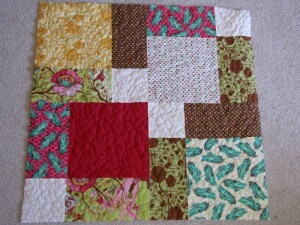 AND, this was finally a chance for me to try some free motion quilting. In the past I’ve always done lines or stitch in the ditch, never swirly improvised stitches. I haven’t had the right food, the project was too big, etc. So this was perfect, and I’m loving this whole free motion business.